Atlantic's new hangar at LAX can hold five of the latest class of ultra-long-range business jets without overlapping their wings. Atlantic Aviation this week held the grand opening of its new corporate aircraft hangar at Los Angeles International Airport (LAX). The $9 million project, which took a year to complete, represents the first such structure at the Southern California gateway. 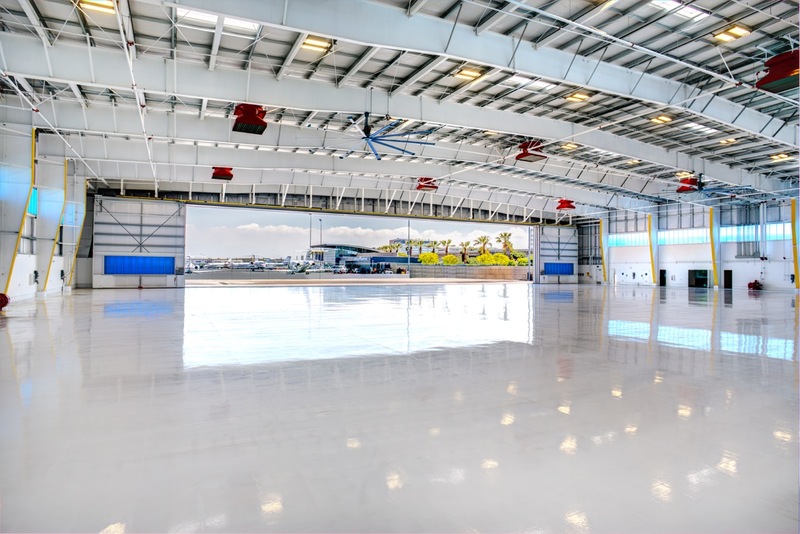 “This hangar fills an obvious need in the Los Angeles and surrounding area and was sold out three years before completion,” said Steve Hirschfeld, the FBO chain’s regional vice president of operations. With a 28-foot-high door, the 37,000-sq-ft hangar can accommodate aircraft up to Gulfstream 650 or Bombardier Global and can easily shelter five such ultra-long-range jets simultaneously. Atlantic has operated an FBO at LAX for more than a decade. It acquired the location in 2004 as part of its purchase of 19 FBOs that made up the Mercury Air Centers chain.